So I was lucky to be invited to the launch night of Ibn Albahr, at the recently opened Club Vista Mare, The Palm, Dubai ❤ ❤ And now I’m here to share everything I saw!! 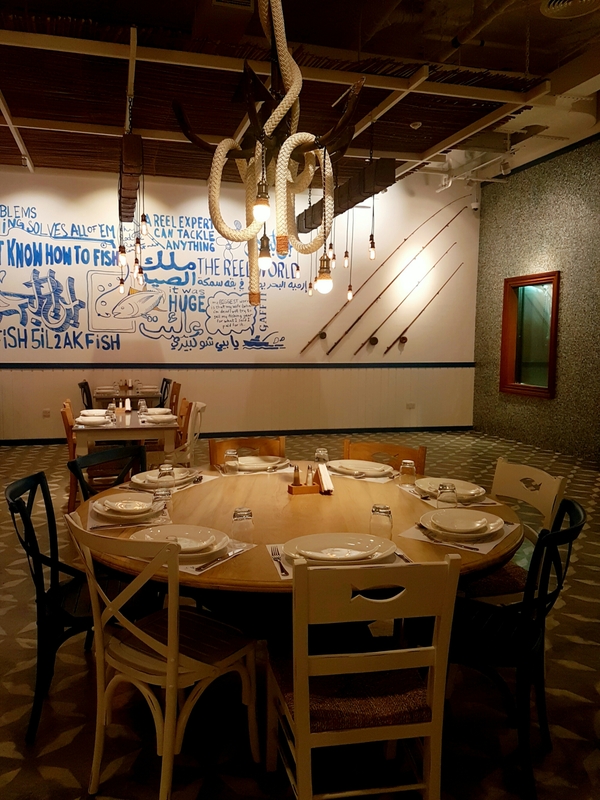 The place is proudly owned by fishermen, with a heritage of over 40 years. 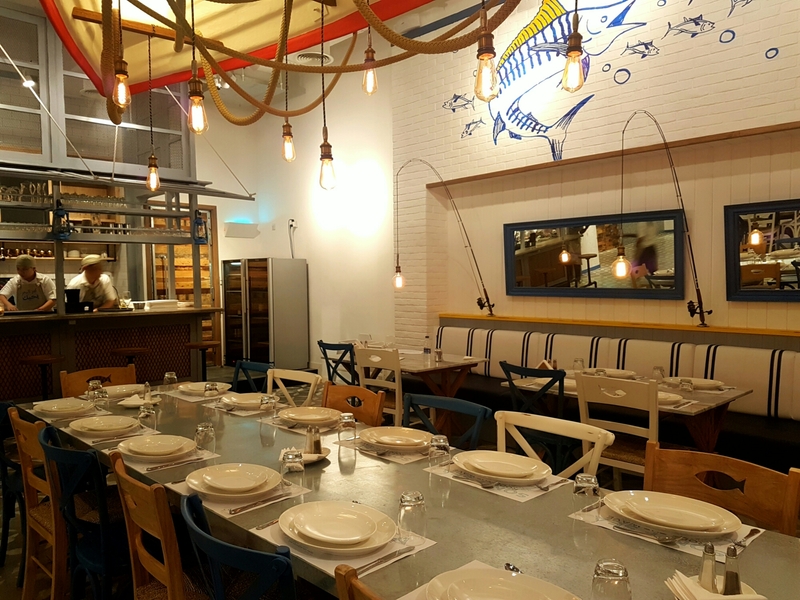 Their style is rustic, yet very sophisticated, caring not only about transporting you to a maritime ambiance, but also to the true flavors, sounding like a tribute to Lebanese fishermen in every plate served. 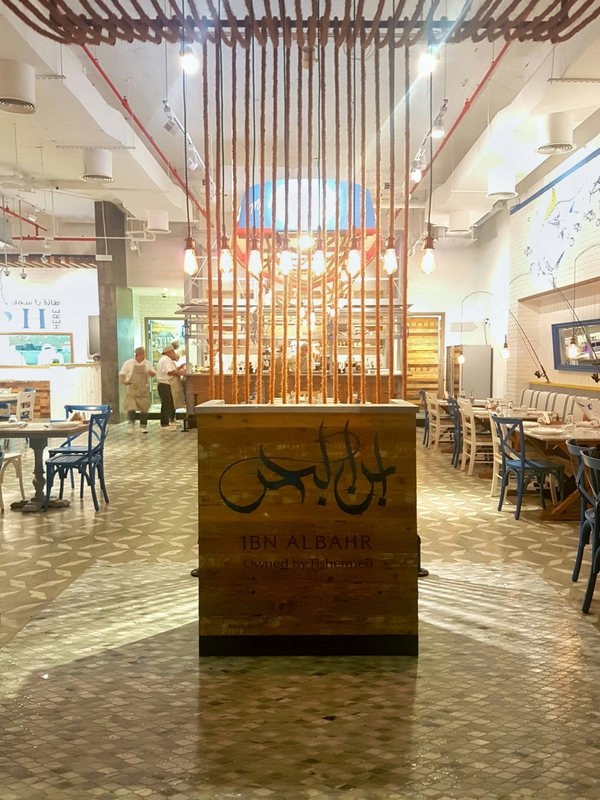 A proof of Ibn Albahr’s care is that no catch is kept longer than 12 hours to guarantee impeccable freshness and flavor. Imaginative décor brings the maritime magic to life, using ropes, rods and vessels. And customers can watch their meal being prepared by expert chefs in the open glass kitchen. 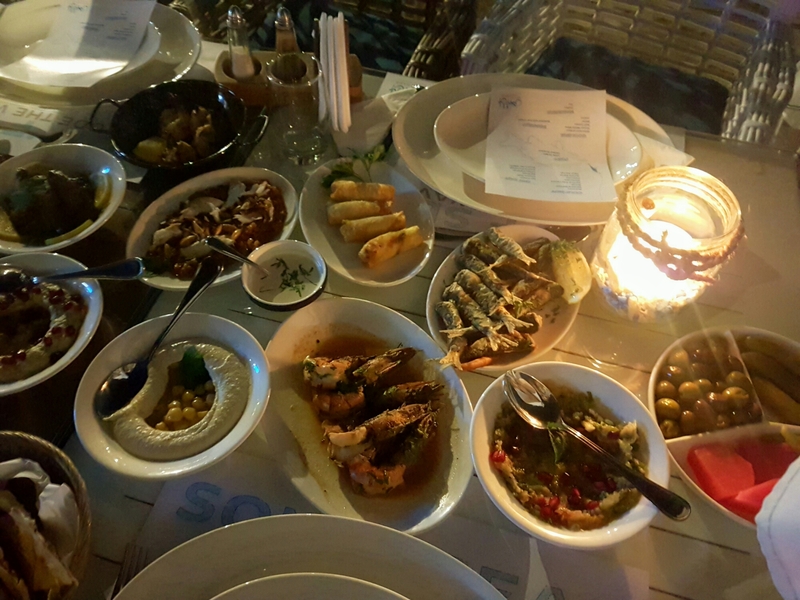 Perfect for groups of family and friends, the menu features a mouth-watering selection of mezzes and starters, as well as being able to choose your own freshly caught fish for mains. There I found longs communal tables, bringing everyone invited to eat together in a perfect Lebanese style. And for the first time in Dubai, the relaxed venue also offers vintage Lebanese hops (AlMaza Beer), as well as an extensive choice of shisha. I also learnt that if you want to dine away from dry land can book a table on Ibn AlBahr’s yacht, which takes a tour of the Dubai Marina and Palm Island, finishing with a BBQ on board. 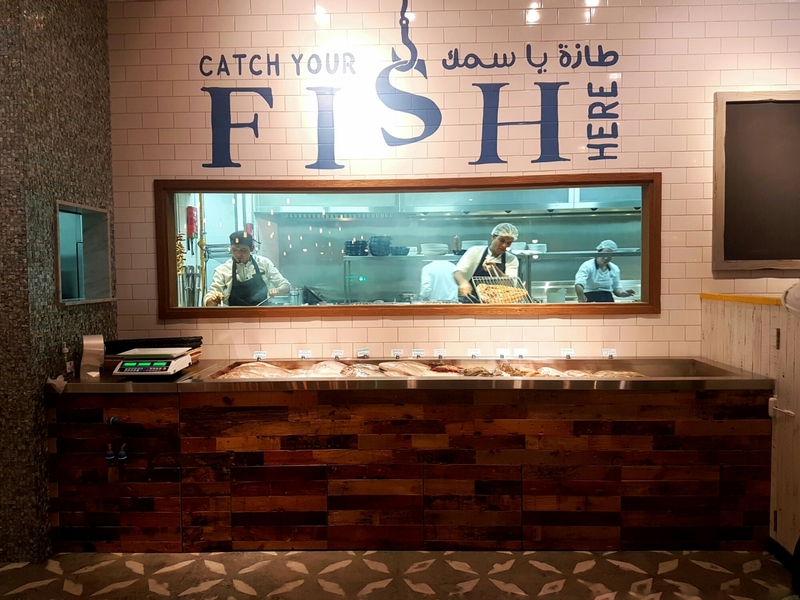 As well as championing taste, the team at Ibn AlBahr believe in the importance of serving locally caught fish and its fishermen use rods not nets, to reduce the environmental impact.